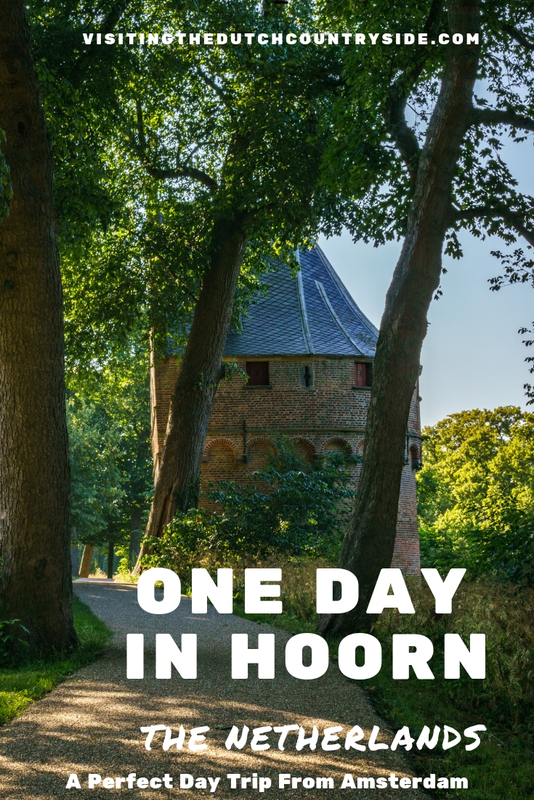 Do you want to spend one day in Hoorn, The Netherlands? Here you will find the best things to do, best accommodation and where to eat in Hoorn. Hoorn is one of the beautiful cities near Amsterdam and has plenty of things to do. 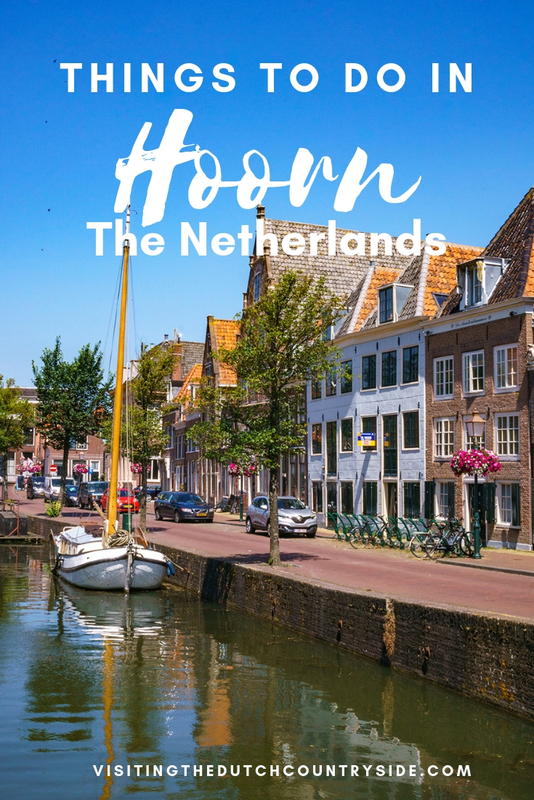 Here you will find an itinerary to spending one day in Hoorn, The Netherlands. Hoorn can be visited as one of the best day trips by train from Amsterdam, but what I would prefer is to spend the night in a hotel or bed and breakfast in Hoorn. 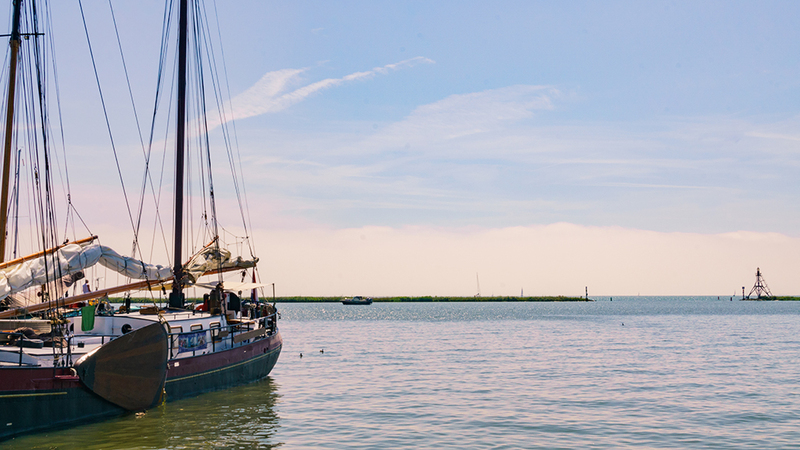 This way you can spend a full day in Hoorn and enjoy all the things Hoorn has to offer and even explore more of the Markermeer and its sights. For the best breakfast spot in Hoorn, you should go to the café called Local. At this breakfast and lunch café in Hoorn, they almost only use local products. Besides that, you will find that everything is made completely fresh. There are also organic sodas and you can even grab some takeaway if you don’t have a lot of time. Besides tasting the local products of this area of Noord-Holland there are expositions held with art from the area of Hoorn. For a filling breakfast, you can order one of the many sandwiches, some fresh fruits, yoghurt with oats, and plenty of more. You can also go to Local in Hoorn for a great lunch as the menu is the same for the entire day. If you happen to visit Hoorn during the season of the markets, you should have to bring them a visit. The first market you should visit is the cheese market in Hoorn. Every Thursday from half of June until the last Thursday of August you will find a cheese market in Hoorn. It’s held at the square the Roode Steen from 13:00 – 16:00. For more information about the cheese market of Hoorn, click here for a full guide. The last Wednesday of August there is an Old Dutch market where you can buy typical Dutch crafts, food and plenty of more. There are also activities throughout the city centre. It’s held from10:00 – 17:00. The normal market, where you can buy fish, coats, fruits and more, is held every Thursday from March until the end of December. This market in Hoorn is held from 08:00 – 17:00. The last market in Hoorn that you should visit is the art market on the first Sunday of September. More than 150 stalls are visited by over 10.000 visitors from all across the country. 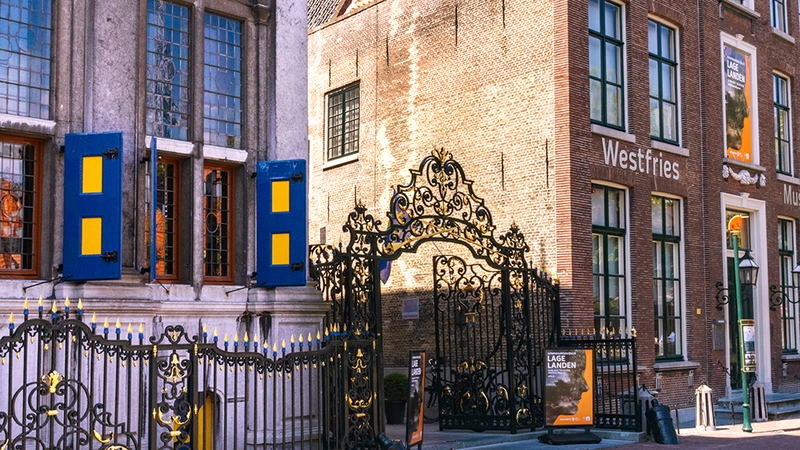 The Westfries Museum in Hoorn is a museum about the most famous period in The Netherlands, the Golden Age (Gouden Eeuw in Dutch). Why I would recommend you visit this museum is that you won’t just find the ‘good’ parts of the VOC and Golden Age, but also the horror. In the Netherlands, we know that the VOC and Golden Age brought us wealth in the 17th century. But we know this was with terrible consequences for the countries that were conquered. It’s important to learn from the mistakes people centuries ago made, to recognize them, to be astonished by them. The Westfries Museum preserves the past, so you are able to learn it. That makes the Westfries Museum one of the best museums to visit in Hoorn. There is a free audio tour and the expositions change a few times a year, which makes this museum always worth a revisit. Unfortunately, the Westfries museum it is not accessible to wheelchair users. The Westfries museum is located in a monumental building from the 17th century. This means there are many different levels and stairs throughout the entire building. If you’re looking for a walking tour of Hoorn, then this part will be for you. You will find the most beautiful streets of Hoorn, the most important monuments, beautiful areas, and a courtyard. This way you will get to know the beautiful city of Hoorn. Schoolsteeg, Grote Oost, Achter de Vest, Achterom, Roode Steen, Achterstraat, Bierkade, Binnenluiendijk, Breed, Breestraat, Dal, Dubbele buurt, Duinsteeg, Gedempte Appelhaven, Gerritsland, Gouw, Grote Noord, Grote Oost, Italiaanse Zeedijk, Kerkplein, Kleine Noord, Kleine Oost, Korenmarkt, Onder de Boompjes, Slapershaven, Nieuwendam, Venidse, Gedempte Appelhaven, Gelderse Steeg. At Nieuwland you will find stairs at the canal. They used to load vegetables, etc. into the boats via these stairs. In at Leliestraat 4, you can find an old warehouse called De Jonge Frans. This warehouse is one of the highest of Hoorn and very good preserved as every stone is still original. The Maria or Kruittoren is a tower that is a remnant of the city wall of Hoorn which dates back to 1508. Oosterpoort is the last city gate still standing in Hoorn and was built in 1578. De Roode Steen is a red stone that is located on the square called De Roode Steen. The name derives from a bloodier activity, as limbs and heads got cut off people at the place of the red stone. Nowadays you will see a replica, but fragments of the real red stone can be found in the Westfries Museum. De Hoofdtoren is one of the last defensive works that you can still find in Hoorn, The Netherlands. It is located at the port of Hoorn and was built in 1532. In 1614 the tower lost its defensive function. The Bossuhuizen are three adjacent houses located at the Slapershaven in Hoorn. The reason that these buildings are so special is that the façades of these 17th-century houses are like a comic strip. 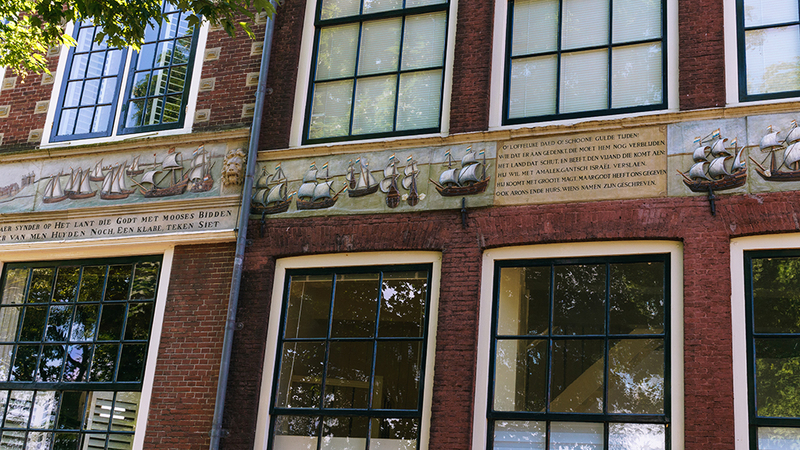 The three houses tell about the battle on the Zuiderzee. Which was between the West Frisians and the Spanish fleet of Admiral Bossu. The West Frisians defeated the fleet with the use of small, but manoeuvrable boats and captured Bossu. In Hoorn, you can visit one courtyard, Claes Stapel hofje. This hofje in Hoorn was founded in 1682 by Claes Stapel and two friends. This hofje was only for women. 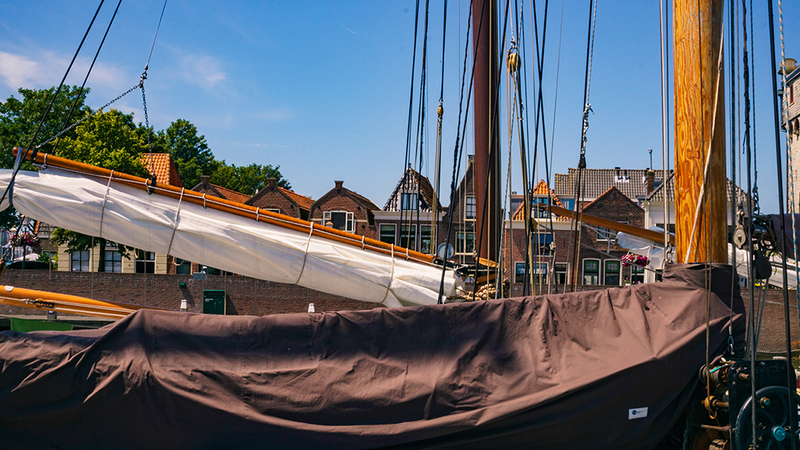 The Binnenhaven is the harbour inside the city of Hoorn and is truly beautiful to stroll along. This is something you will do without even thinking about it. As this harbour is located in the centre of the city. The Museumhaven is a harbour that accommodates authentic fishing and cargo ships. You can take a stroll along the beautiful, old boats and see which ones were used in this area of The Netherlands many years ago. For the best lunch, you should head to Loft der Zotheid, also named De Zwarte Olifant. If you just want to relax, drink a coffee, or want to make your stomach happy, Loft der Zotheid is a restaurant in Hoorn you should visit. During lunch, I would definitely recommend you get a sandwich with goat cheese. But the other sandwiches and salads are great as well. If you liked the lunch or atmosphere so much and want to go back in the evening for a great dinner in Hoorn, this is possible as well. They have great dinner options at Loft der Zotheid. This museum opened in 1994 and houses a big collection of objects from the 20th century. You will get nostalgic during your visit and learn about the objects your grandparents, your parents and you used. There is a free English audio tour available at the reception. The museum has an elevator and other facilities for disabled people. The museum is located in former prison complex ‘De Krententuin’. You can find the tourist information of Hoorn in the same prison complex. In the museum shop, you will find interesting and nostalgic gifts, as well as a large selection of books. 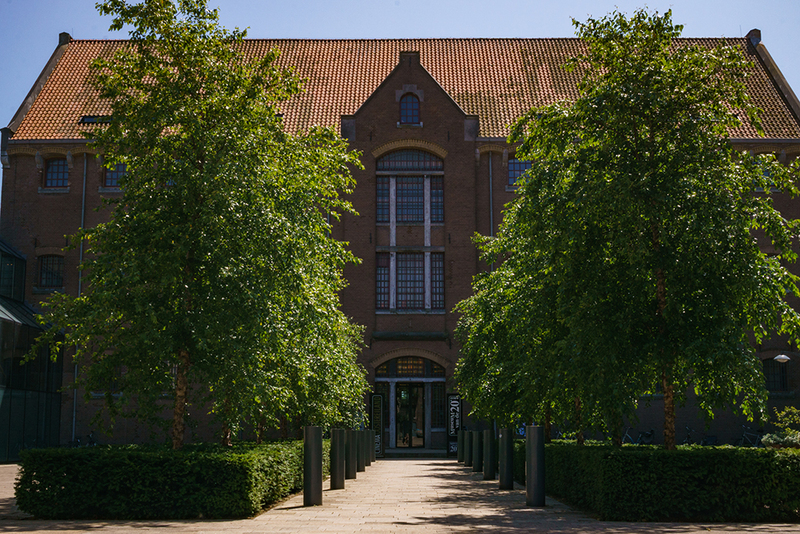 The Halve Maen can be found very close to the Museum of the 20th century. The Halve Maen is a reconstructed VOC-ship. When entering the building of the museum you eventually will be taken on a personal tour through the museum ship. If they don’t have an English guide available there is an audio tour you can use. The ship is sailable so located in the water. The crew of the Halve Maen will tell you stories about storms, naval battles, discoveries and plenty of more. If you’re interested to see what a VOC-ship looks like and in the history of the VOC, then visiting museum De Halve Maen is a great idea. Note: 2019 is the last year that you can visit this VOC ship in Hoorn, click for more information and current opening times here. Unfortunately, the Halve Maen is not suitable for wheelchair users, prams and buggies. Only open by appointments for education or groups from 10 people and up. One of the best restaurants in Hoorn is restaurant & café Ridderikhoff. This restaurant in the centre of Hoorn is located in one of the most beautiful buildings of Hoorn. But it has another great reason why you should visit. At Ridderikhoff there are more than 25 people working who have disabilities and have a hard time entering the ‘normal’ society. Ridderikhoff is not subsided. But they definitely deserve your money if you’re looking for a great restaurant in Hoorn. Not to mention that the staff is extremely lovely, the food is wonderful, and the atmosphere makes me not want to leave. Do reserve a spot, because they are quite often fully booked. There is an invalid toilet and the ground floor is accessible for wheelchair users. 24th, 25th, 26th, and 31st of December closed, as well as the first of January. At Vivaldi, you can find the best Italian ice-cream of Hoorn and surroundings. If you want to get a dessert after your dinner, then you have to bring them a visit. You can taste the love that they have for creating great ice-cream at Vivaldi. Let’s be honest, it’s always time for dessert, so if you want a good ice-cream in the morning, go ahead. Vivaldi is opened from March until the end of October. During early spring and autumn, it’s opened daily from 12:00 – 18:00. During the summer the opening times are longer. The Juliana park is the best spot to watch a beautiful sunset in Hoorn. You will see the sun setting in the Markermeer (one of the biggest lakes in The Netherlands) and feel completely at peace. 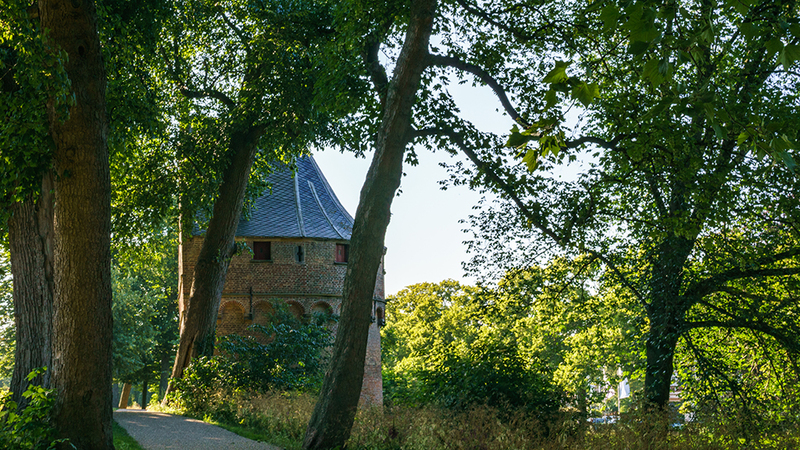 Bring your ice-cream to the park and enjoy the final sunrays of a beautiful day exploring Hoorn. For the best ending of one day in Hoorn, you should go to Eet-en Bierencafe de Beiaard. You can find plenty of different sorts of craft beer here. This café is a mix between a brown café and a modern café. It’s a great café to sit for great craft beers and they have a lot of knowledge to answer all your questions about the special beers. Graaf van Hoorn Boutique Guesthouse, click here for the availability and current prices. El Puerto Bed and Breakfast, click here for the availability and current prices. B&B Westfriesland, click here for the availability and current prices. From Amsterdam: Take the train from Amsterdam Centraal station in the direction of Enkhuizen. Get out at Hoorn. This train ride from Amsterdam to Hoorn takes you around 30 minutes. From Utrecht: Take the train from Utrecht Centraal train station in the direction of Enkhuizen. Get out at Hoorn train station. The train ride from Utrecht to Hoorn takes you around one hour. From Alkmaar: Take the train from Alkmaar station in the direction of Hoorn. Get out at Hoorn. The train ride from Alkmaar to Hoorn takes you around 30 minutes. Now there’s only one thing left to do and that is to visit Hoorn. Whether it’s a perfect day trip from Amsterdam, or if you want to spend the night, there are plenty of things to do in Hoorn. That is something you have read in this article. It’s easy to spend one day in Hoorn, The Netherlands. 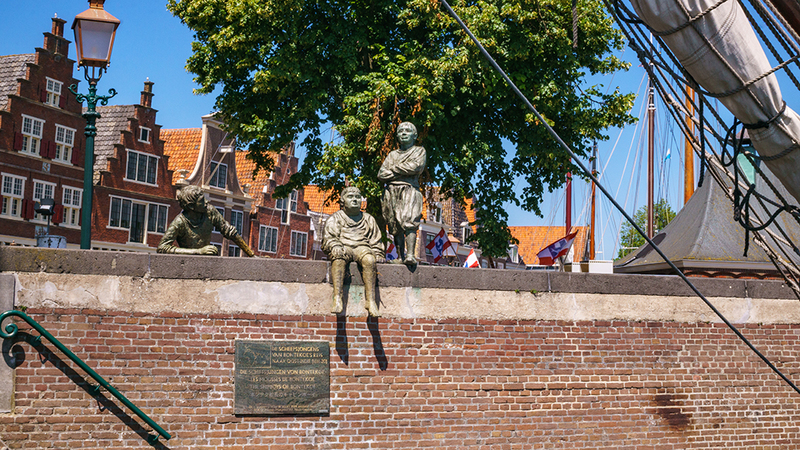 Have you tried this itinerary for Hoorn? Let me know! 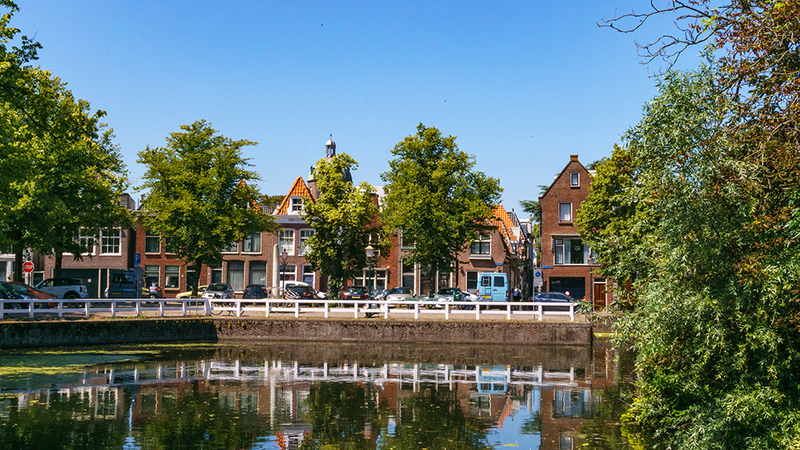 If you’re interested in spending a day in Alkmaar, click here for the article. For all the articles I’ve written, click here. Share this post.